We are a leading Manufacturer of vacuum type gravity separator, pressure type gravity separator, screen air separator, gravity & stone separator, gravity grain separator and screen separator from Vadodara, India. We have an offer of another range of Vacuum Type Gravity Separator which is developed in order to offer efficient grading on specific gravity basis for all type of spice seeds, seeds, food grains, cereals, crushed bones, metal, plastic & rubber materials. With complete steel construction, these equipment ensure high tensile strength and durable as well as trouble free life. Total control of Deck air: Through Adjustable Slide/Flap gate. Rubber bushing suspension: For vibration free movement of the deck. The superior enclosed drive system in the sturdy body. Counter balanced eccentric drive, Vibration free working of the machine. Adjustable dividers to obtain the quality of grades as desired. Easy deck replacement - Finely adjustable controls for air, feed, speed, pitch, elevation, deck runoff, and torque. Aspirated dust collected in cyclone & air discharged through the fan. Totally closed type for dust free operation in the plant. The range of Pressure Type Gravity Separator which we offer work on the principle of vibrating motion fluidized bed with special construction to provide uniform air velocity. With inbuilt fan unit and versatile adjustable controls, these equipment offer the best possible separation of food materials. We design this equipment in a way to make them suitable for accurate controlled grading of dry granular material on the basis of the specific gravity of seeds/grains. High tech-high efficiency separator for grading on specific gravity basis for all type of Spice, Seeds, Grains, Crushed Bones, Metal, Plastic, Rubber etc. All steel construction – Ensures strength and durability for many years of trouble free service. Total control of Deck air: Through Adjustable Slide / Flap gate · Rubber bushing suspension: For vibration free movement of the Deck. The superior enclosed drive system in the sturdy body. Adjustable dividers to obtain quality of grade desired. Easy deck replacement – Finely adjustable controls for air, feed, speed, pitch, elevation, deck runoff, and torque. We are the leading manufacturing & supplying organization of Screen Air Separator which is equipped with various options which help in pre-scalping and product screening operations. These equipment are very useful for removing the dust as well as light contaminants from the agro seeds. Four deck screen separators can be supplied for as high capacity as 100 TPH, with the split-flow arrangement. These equipment are offered under the name ‘GOLDIN’. 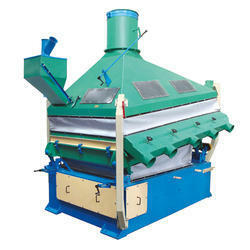 The "GOLDIN" Screen Air Separator is a positive eccentric, four bearing design. 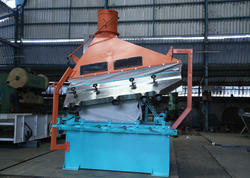 High speed, a vibrating screen which ensures accurate, high-quality separation high capacity. The adjustable feed hopper regulates feed as desired and uniform distribution of material across the width of the screen. 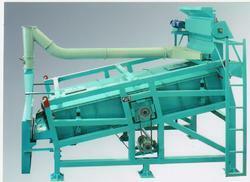 We are one of the leading manufacturer and exporter of Gravity & Stone Separator. 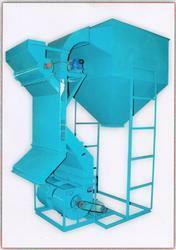 We one of the leading organization engaged in offering a wide range of Gravity Grain Separator. All steel construction – Ensures strength and durability for many years of trouble-free service. Total control of Deck air: Through Adjustable Slide / Flap gate · Rubber bushing suspension for vibration free movement of the Deck. We have expertise in manufacturing & supplying an exclusive range of Screen Separator, which is highly effective for separating solid particles from liquids. These are high-speed vibrating type liquid separators which remove the solids which enhance the filtration capacity and efficiency of the filters. 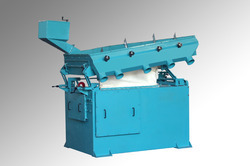 These separators are widely used in several mill plants to remove the solid particles. The Goldin Screen Separator is a positive eccentric, four bearing design, high-speed, vibrating Screener which ensures accurate, high capacity, high quality separations. 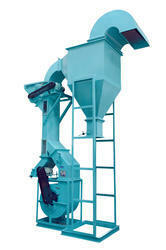 The adjustable Feed Hopper assures you of obtaining an even, constant suply of product into the Screener. 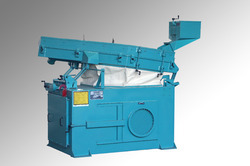 By achieving and maintaining the proper feed, you best utilize the Screener’s separating capabilities. The outboard bearing isolation mount combined with Advanced balancing systems make the frame vibrationless, allowing the machine to be operated on any structure. Easy screen removal! Either screen can be changed without loosening the adjacent one. Optional stainless steel construction permits the machine to be used for food, chemical and other specialised applications like dewatering. Vibrating Screen Separator is widely used for removal of oversize and undersize material in several processing Industries. Two bearing design with adjustable amplitude can be set to handle varieties of materials. Aspiration can be provided wherever required. The Hull Separator convinces with efficiency, strong performance, and robustness. 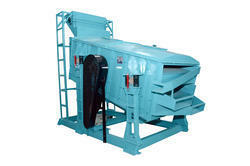 It ensures optimal separation of oil seed kernels from their hulls while achieving high through puts. Thanks to an easily adjustable aspiration device and good screen accessibility, operation and maintenance have been greatly simplified. 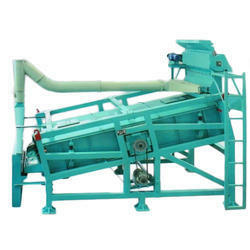 The hull separator is mainly used for sunflower seeds and soya beans. Simple economical and widely used equipment to separate solid particulates from aspirated air system. Designed to suit requirement e.g. Pollution Control, Product Recovery, Precleaner before Fabric Filter etc. Available in several designs such as Multicyclones, Parallel or Series.